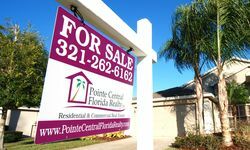 Whether you agree with the law or not, the recent "Fiscal Cliff Bill" contained one item that will make any 2013 Short Sale Sellers in Lake Mary, Heathrow, Sanford and Longwood very happy. Like all debt, mortgage debt is normally paid with after-tax dollars – that is you pay off debt with your net pay where the dollars earned in the check have already been subject to income tax. These dollars go to pay the debt along with other household bills. When a debt is forgiven, you no longer have to take those after-income tax dollars to pay that debt. In many ways it is akin to a “gift”. However, the IRS sees those dollars as a form of income to you since you no longer have to pay the debt. Thus, normally when a debt is forgiven, the debtor receives a 1099 or other similar form from the creditor for the amount forgiven and a copy of the reporting goes to the IRS. The former debtor must then count the amount of the forgiveness as part of his or her income for the year in which the debt was forgiven – usually resulting in a higher income tax owed. 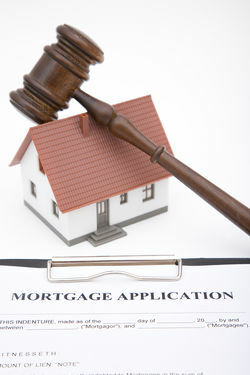 This is what normally happens when a short sale occurs and the lender forgives the mortgage debt owed. However, in 2007 with the housing meltdown ramping up, Congress passed the Mortgage Debt Forgiveness Act of 2007 which allowed forgiveness of a primary residence mortgage to not be taxed as income. For example: with the Act, a $150,000 mortgage forgiveness turned from an approximate income tax bill of $37,500 (using 25% tax bracket x the $150,000 in this example) to an income tax bill of zero on the amount forgiven. Anyone short selling their primary residence in 2013 should be pleasantly relieved to know that quietly tucked into that recently passed “Fiscal Cliff Bill” was an extension of the Mortgage Debt Forgiveness Act of 2007. Originally set to expire at the end of 2012 – the Act was extended through 2013. The Act applies only to primary residences, not second homes or commercial or investment properties. For more information on Short Selling click here.